Song 3 in the book is titled: Laša kundze -Mrs Salmon. It is a humorous song. Great excitement in the deep because the eel is going to marry the salmon. 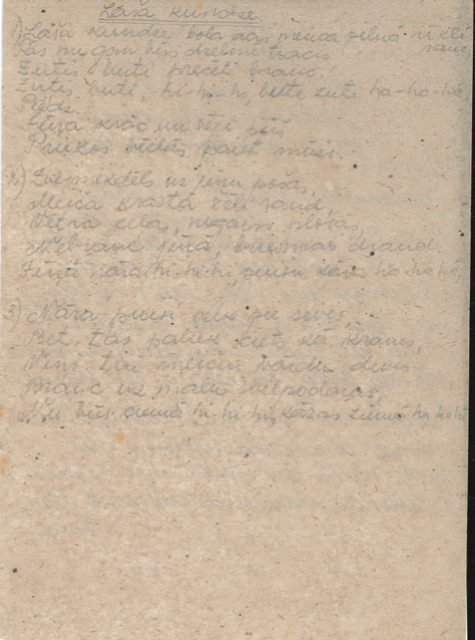 Page 3 of Basket of Songs - Brussels Prisoner-of-war camp, December 1945.